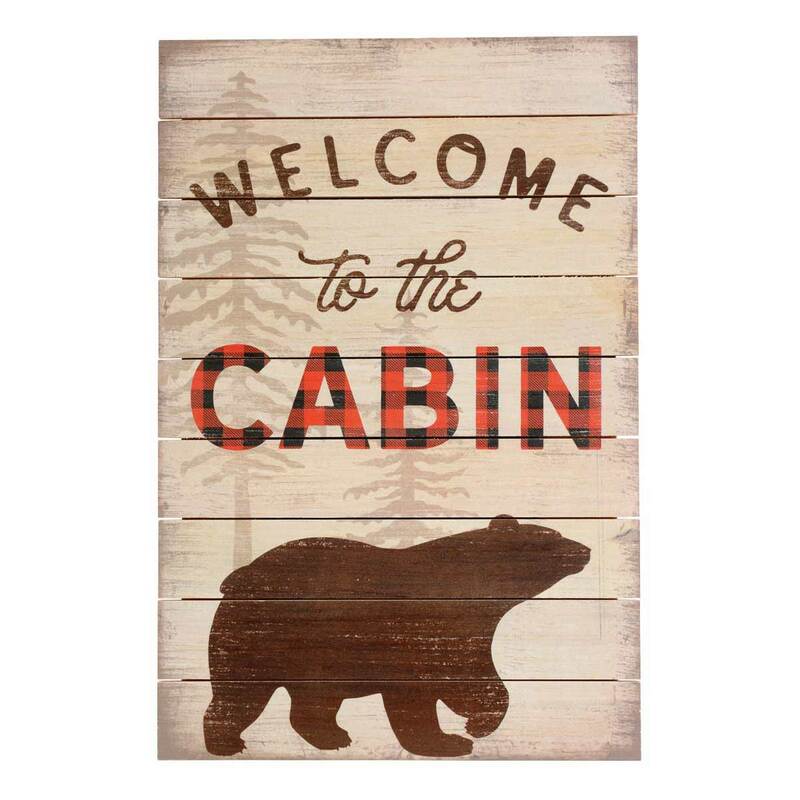 A Black Forest Décor Exclusive - Welcome guests to your cabin with this slatted wood sign with buffalo check typography and a bear silhouette. Wire and sawtooth hanger included. 12"W x 18"H.